Yeah but, Yeah but......when a bear is snorting around the entrance to your tent you're gonna wish you had that cowbell. And sure, big trouble or big luck. Snap decision time: Human or Sasquatch, thermal or gun..........paper or plastic, regular or decaf, ketchup or mustard. One might have, oh lets say, two seconds to choose? Prolly gun. It'll kind cover all the bases. Do you have non contact handheld IR meters? I have two for work: bearings, pumps, electric motors, circuit breakers, relays, engines etc. Very handy. I have wanted to measure the fur of a black bear. I hesitate to 'show' the aiming laser in the forest. If I can see it, so can other animals. I do not use a laser pointer to aim my trail cameras for that reason. How do you aim your trail cameras? I use an optical gadget with several nicknames: "Secret Spy Lens", "Sneaky Pete" lens. Made by Spiratone, the Circo-Mirrotach is a right angle mirror viewer made for cameras. Long out of production, they can be found on ebay for about $20. I place the unit backwards ( non camo end ) over the lens area of the trail cam and the target area is displayed at me, standing at the side of the cam. The image is reversed. I added camo, mesh and scuffed the surface to reduce reflections on one unit. Use one to look sideways and fool the animal that is watching you. Not too many remaining. There are smaller right angle gadgets available. Like the right angle mirror idea a lot. Sure beats climbing trees but that's been my approach. Try to get one up to about 15 ft. Created a loop-step rope ladder for the purpose with 6 inch aluminum ferrules to place my feet on that hold the loops open. which makes it so much easier to find a foothold when coming back down. I was going to use static climbing rope to minimize stretch but have decided to just replace the braided rope I used with 1/4" paracord. It will stretch a bit too but for only 15-20 feet it should be negligible. I haven't experimented with using the rope to get a hammock into a tree but don't see what it wouldn't work and then just pull up the ladder once one is in place. More stuff for your pack(s). The knives are made by Victorinox, nicknamed 'vicki' knives, they are wicked. Don't be fooled by the small size. Think of them as 'long' scalpels. The knife without sheath is $7----$8. You are going to be taking notes. The 'reporters notebook' fits in your hand. You can carry them in the Kinesis reporter notebook pouch, $4.95. And that 4 color BIC pen that you have not seen since grade school. Field notes are not necessarily black or blue ink. Emphasize important details with other colors. I am not a big advocate of bear deterrent spray ( unless it is 12 gauge ). The Orion brand plastic 12 gauge pistol works for flash bang shells (yellow ) to scare animals and the red shells are red flares for distress signaling. I re-read what you wrote about IR thermometers and "lasering" animals. Many, including the one I am ordering, offer a laser toggle off feature because I don't like sending out a laser either. Would hate to accidently damage an eye when eyes are so important to an animal's survival. Tripod for ugly terrain. I set up my trusty STAR D tripod for difficult terrain. I used furniture sliders and plastic flag pole holders. The plastic flag pole holders were about $8. I think 4" furniture sliders were the same. Remove the foam piece on the bottom. The concentric rings help position the flag holder foot for drilling. Drill from the bottom side. Shown below are the stainless steel washer, metric wavy washer, metric nut and a ss shim. The dishwasher drain hose goes around the bottom tripod leg. Split for insertion. The wavy washer is for pressure. The nyloc nut is just snug so that the feet pivot freely. Standard ss screws and nuts are used to attach the flag holder base to the furniture slider. The below surface has to be smooth. There is a slot where the shim was placed. The shim prevents the pressure screw from gouging the tripod leg. The dishwasher drain hose is slipped onto the leg. The tripod legs are inserted. The pressure screw holds the new feet in place. The tape just holds the ss shim.The all terrain feet can be independently rotated about the tripod leg(s) to adjust to compound curve terrain. How about some flash and flash holders for photomacrography? "CoverMate" bags make for cheap rain covers. I buy them at Target. Couple bucks per bag and you get 10 bags, various sizes. I can operate all controls through the plastic. I modified 2 "Plamp" clamps. I set up the small clamp to take a cold foot mount 2 ways ----- sideways and vertical. I clamp them onto the tripod legs. I made a smaller "Plamp" set up to hold optional extra items like a white plastic sheet to set custom white balance. This type of cold shoe allows for clearance of the rain protection bag. Set up for side ways support. I added copper wires to stiffen the structure. I bought this size because it was a good price in the remnant bin at the hardware store. The below image is a Vivitar 285HV being held sideways with CoverMate bag. A small piece of plastic bag (not shown ) can be added to the clamping area to minimize punctures from the clamp. The below image shows the vertical support position. Don't believe for one minute that you need high dollar, high-zoot flashes. Small units can be placed on the ground for side-lighting/contrast or hand held/aimed. Operate on slave mode. These small flashes were about $10 on ebay. They operate on 2 AA batteries. Carrying the 12"-18" parabolic dish and sound equipment by backpack would be awkward. There are a few places I go by jeep trail and 4-wheel drive that it would be fine as the carry for all of them would be less than 1/4 mile. Almost two years ago, I was out with a buddy for a weekend doing our sasquatching. One night, we heard two wood knocks respond to our knock and both were very close. I would love to have had the parabolic mic then to listen for any footfalls it might have picked up. If I were clever, and I'm not, I would come up with some parabolic dish that was portable and would collapse somehow for easy transport. I've always thought about using a large photographer's lighting umbrella and attaching something that could be inserted in the field to hold the microphone. That way the umbrella could collapse and be carried in the water pocket of the backpack. Here is a setup that uses an umbrella but the hand-holder is permanently attached to the umbrella. 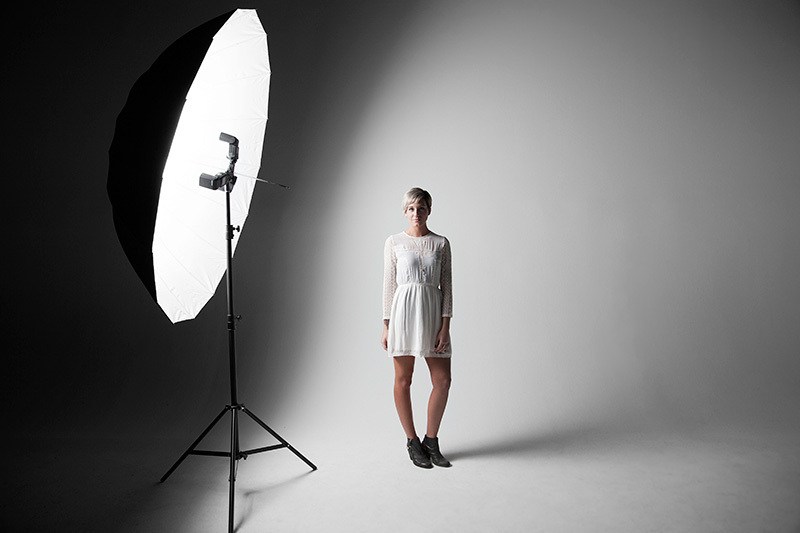 https://www.fjwestcott.com/media/wysiwyg/light_modifiers_umbrellas_spread_parabolic.jpg - replace the light with a mic. She can be my sherpa and learn about the finer things of sasquatchery!! Not sure how to fix a hand holder to an umbrella so it would still collapse. If anyone thinks an umbrella could work, I'd love to hear it. Edited because somehow I posted it three times. She can be my sherpa and learn about the finer things of sasquatchery!! Hmm...maybe SHE herself could use a Sherpa? TBH after three miles with a 40 lb. pack I do sometimes wish for a Sherpa. Those guys are amazing. There was a post recently about hunting clothing that grounds the wearer. I do not follow camo clothing too much. Only ASAT. There are other was to ground one self and cheaper than hunting garments. There are wrist band types with a wire and alligator clip. I am aware of set ups to place on your footwear. i don't have those. A place to ground to and intermediate ground wire connection to your wrist is needed. Beware of electrical storms. Do not be a reenactor for Ben Franklin's and Young Frankenstein's kite activity. This is a pokey thing to stick into whatever you want to ground to. A 'T' head pin soldered to an eye and wire. This set up is for remaining stationary. There﻿ was a post recently about hunting cloth﻿in﻿g﻿ that grounds the wearer. Why do you need to ground yourself? I too, would love to see a demo of your little monocular, if and when you get a chance. By the way, this is a great idea for a thread. The motion lights are an interesting idea, too. But with the IR that they use, wouldn't that warn off a creature if the general consensus is that they can see into that IR spectrum? Or am I off base in the way they work? Thanks, I am just trying to learn.